Right below that Marlins “M” logo (which is not the Miami Marlins logo by the way) is the only place I can see this fountain being placed. I originally thought that area was the party pool deck area, but it looks like it is slanted. If anyone has an idea of what will definitively be placed there, please let me know. Last point: Today, the “October Latest Leaders” came out on MLBlogs Central, and I was thrilled to find my blog in the solid “#50” slot for most page views of all the “fan” MLBlogs. Thanks to all those who made that possible, and please continue your regular reading of this blog! Really excited for this to happen. 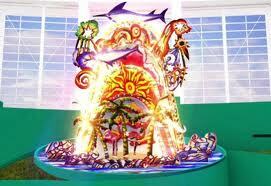 Although I’m a die-hard Rays fan I’ve always liked the Marlins and I think they’re a pretty exciting team to watch. The new stadium is looking great and it’s a real franchised booster; I think it’ll really help out with the attendance issues. The rumored jerseys though, not so much. I hope the Marlins turn their franchise in the right direction and play to their full potential in 2012. I agree that the stadium will be a great booster for the franchise. And it will take some tweaking, and time, but the franchise will turn itself in the right direction. They have the building blocks to do so, it’s only a matter of time. I haven’t heard about the jerseys. Was that separate from the leaked logo? Thanks, I just read it! Congratulations for making it to the top 50! I know is special the first time we make it on the list! 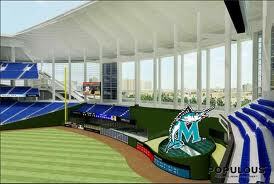 Looking forward to seeing all the changes for the Marlins. A friend here in the Los Angeles area is a Marlin fan as well as a Dodger Fans. Well, she adopted the Dodgers once she moved here from Miami. As she tells the story, she was on the U-Haul truck heading this way when she heard about the group of Marlins being traded to the Dodgers. she felt her team was coming with her. Thank you very much! I’ve been looking forward to getting on the list. It’s addictive being a Marlins fan, and I think I’ll miss the teal a lot if it is omitted from the new logo. Thanks for commenting!